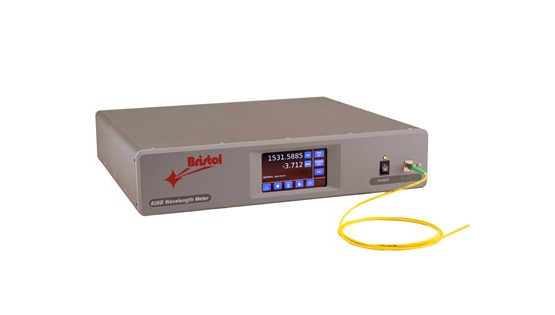 The 828 Series High-Speed Optical Wavelength Meter uses interferometer technology that is very different than that employed by other wavelength meters used for WDM wavelength testing applications. A Fizeau etalon design is used to generate a spatial interferogram that is detected by a fast InGaAs photodetector array. Using an on-board digital signal processor, the interferometric data is processed quickly into an accurate wavelength measurement. The combination of these technologies provides an unmatched, sustained measurement rate of 1 kHz. For more information on the 828 Series High-Speed Optical Wavelength Meter, download the datasheets or visit the webpage.